On September 29, actor Lee Min Ho’s management agency, Starhaus Entertainment, revealed that Lee Min Ho’s donation platform, PROMIZ(PMZ), made a donation of 50 thousand dollars to Charity: Water. Charity: Water is a global non-profit organization that strives to bring clean water to people in developing nations. This past June, Lee Min Ho started PMZ as a way to give back the love and support he receives from fans all around the world. 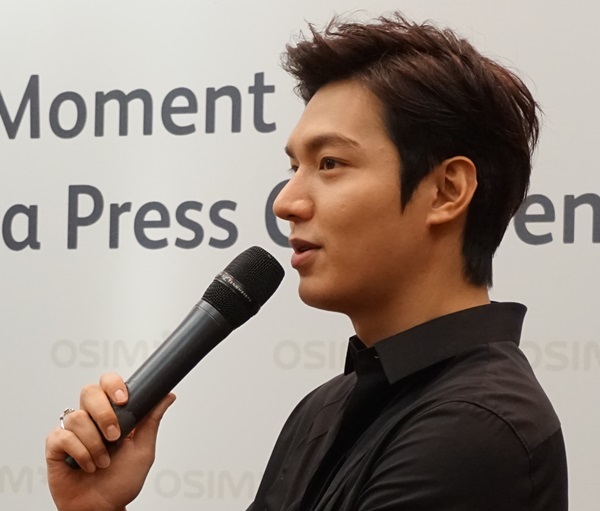 PMZ comes from the combination of “promise,” “Lee Min Ho,” and his fan club, “MINOZ.” It holds the meaning, “The accumulated love between Lee Min Ho and his fans will be distributed.”After lots of preparation, he launched this campaign as a way to make a long-term connection with his fans and give back to the rest of the world. PMZ will choose a different theme for donating every year, and promote accordingly. The first theme for 2014 was “water,” and it held the meaning of life, as it is its source, and has the ability to make many changes. Have any MINOZ members out there participated yet? 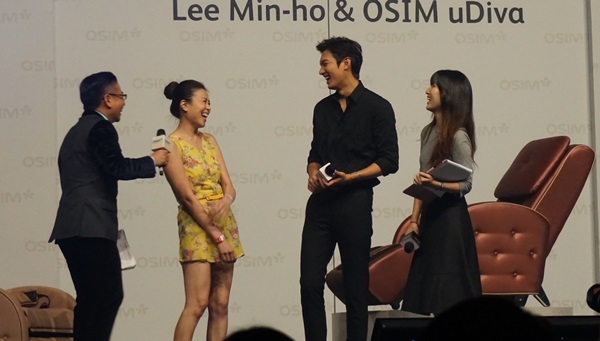 KUALA LUMPUR – An appearance by South Korean actor Lee Min-ho here delighted some 700 fans who turned up to see him. Those who came for the exclusive meet-and-greet event at the Kuala Lumpur Conven­tion Centre yesterday were treated to games and lively banter from the actor. “It’s my third time in Malaysia and I’m very happy to meet my fans here,” said Lee, 27. The celebrity was flashing his smile and thanking the mostly female crowd throughout the hour-long session. Lee rose to popularity after the release of the drama series Boys Over Flowers in 2009. He has also appeared in City Hunter, Personal Preference and most recently The Heirs. Listed as one of the top 20 hottest South Korean male celebrities by CNN, Lee is the recipient of many awards such as the Korean Updates Awards for Best Actor and SBS Drama Awards for Top 10 Stars. The event was organised by OSIM. 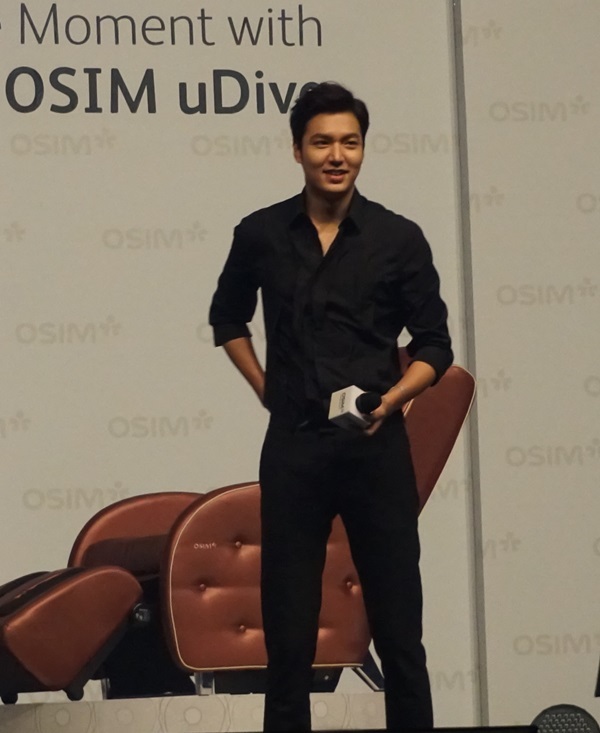 Lee is the ambassador of the OSIM uDiva massage chair. Korean actor-now-singer Lee Min Ho is one of the lucky few Hallyu stars that have managed to retain their squeaky-clean image. The only time he’s been caught red-handed for anything was for dating his City Hunter co-star Park Min Young in 2011. Our ears perked up when he moved on to admit that he “has received complaints from other hotel guests”. What could this male goddess possibly have done to end up encountering the wrath of fellow hotel guests? Could he possibly have strange habits that were – gasp – better kept behind closed doors? “When I’m relaxing, I like to listen to really loud music,” he chuckled. Death metal music, perhaps? “No, I just like to turn up the volume of whatever I’m listening to,” he explained. Oh, we thought. Is that it? While one might be tempted to write him off as a typical goodie-two-shoes or a drone programmed to spit out pre-approved answers, we couldn’t help but to be charmed by his sincerity and affable nature. The malls on the weekends are always packed in Singapore, but there was no space to budge at Causeway Point when Korean heart-throb actor Lee Min Ho showed up for a public event on Saturday afternoon. 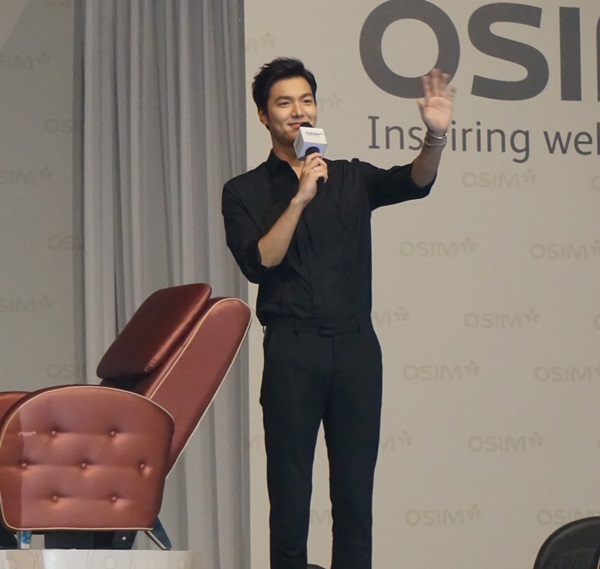 Thousands of screaming fans packed all four floors of the mall, squeezing themselves as close to the barricades as possible to get a glance of their idol, who was flown in to celebrate the 35th anniversary of lifestyle product brand Osim. Five lucky fans got to go on stage to get up close and personal with him, including one who puckered up her lips for Lee so that he could apply lip balm to them. Another fan, Ms Andrina Loo, 35, got to play a game where she had to place a balloon in between herself and Lee, before hugging each other as tight as possible until the balloon burst. Lee, 27, proved to be a sport and visibly enjoyed himself, laughing easily throughout the 40-minute event. The actor is best known for his roles as rich students in the his TV dramas Boys Over Flowers and The Inheritors. He promised to be back in town again soon as he readies himself for a tour to promote his upcoming new music album. Going by the incessant shrill screams, these fans can hardly wait.